It was about this time five years ago that I was sitting cross-legged on the grass at a local park in complete and utter shock. My eyes darted back and forth between David and the diamond ring a million times, and all I could do is sit there, completely stunned. David had proposed to me just seconds before, and I literally melted to the ground, overcome with surprise and emotion. David gives me a hard time about that afternoon because it took me entirely too long to think clearly enough to utter the short word ‘yes’. I clearly don’t handle surprises very well (wink), so having no inkling that I was about to be proposed to in a public place (albeit empty at the time) caught me completely off guard. I’m sure my reaction had David more than a little worried, but after I got over the shock and came to my senses, I was beyond thrilled to marry him. Fast forward a year and a few months to September 15, 2012, when I was happily dancing the night away with my new groom. I may be biased, but our wedding was amazing. Of course the best part of the whole day was becoming David’s wife while surrounded by our loved ones, but I will also point out that the handmade touches and special moments that we wove into our celebration made the day extra beautiful. 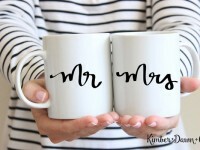 Since I didn’t have a blog back when I was planning our big day, I thought it would be fun to spend this wedding season sharing all of the special DIY details of our wedding. I hope you’ll relive the memories with me as we cover everything from overcoming Pinterest overwhelm to creating a thrifty yet classy tablescape, and from planning the perfect schedule for the big day to adding memorable handmade elements to the party. I realize few of you readers are planning your wedding right this second, but perhaps you’ll relive our DIY wedding with me anyway. After all, you may glean a creative idea or two for the next wedding you find yourself helping to plan or for that Gatsby-style party you’re thinking of hosting. Once the initial shock of our engagement wore off, I was beyond excited to dive into planning mode (if you know me at all, you know planning is my jam). 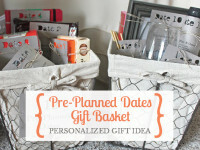 But wedding planning was new territory, and the one thing I struggled with most was finalizing a style for our big day. So I thought I would start off this new series by sharing the lessons I learned about deciding on a wedding style once and for all. As a new bride-to-be and eager researcher of any new project, I immediately turned to Pinterest for inspiration and advice. And I quickly felt bombarded with the amount of information out there on the Internet. 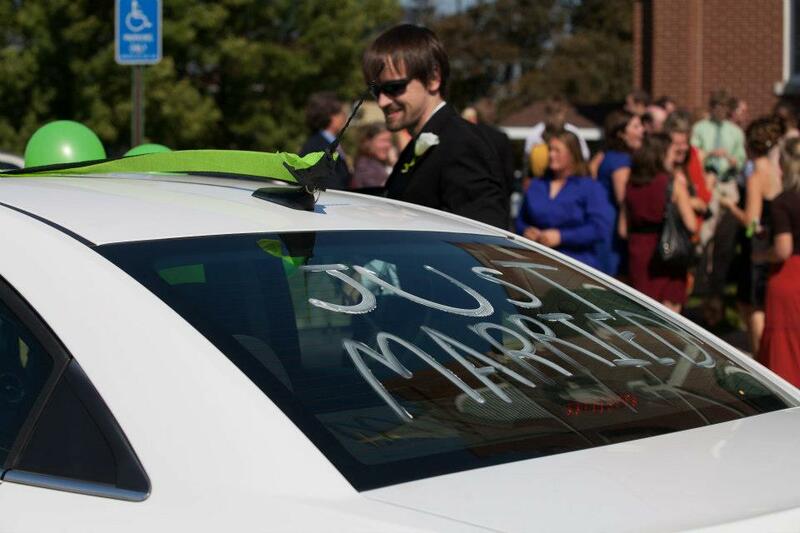 The ideas were endless, and the pressure of this being my one and only wedding was overwhelming. How’s a girl to decide? For me, the idea of my wedding style being forever was paralyzing. There were so many different directions I could go, and it just didn’t seem possible to choose only one. Today I’m sharing some of my tips for filtering through the inspiration, honing in your ideas and deciding on a wedding style you’re in love with. While it’s super fun to scroll through wedding inspiration for days, the reality is that someday you have to decide on a style once and for all so you can move forward into planning mode with a clear vision in mind. Here are my tips for doing just that. I was sucked into Pinterest for those first couple months, completely engrossed in all of the creative themes and trendy color palettes. I wanted a rustic outdoor wedding one day, a clever Harry Potter theme the next and a ritzy affair in a ballroom the day after that. The style of my upcoming wedding ping-ponged back and forth too many times to remember. Eventually, I needed to start making decisions about the venue, the decor and the attire, which required me to define our wedding style. So I turned to my ginormous wedding board on Pinterest and started scrolling through it. There were soooo many clever and beautiful ideas pinned to it, but it was clear that they didn’t all mesh with each other. What I realized was that all of those clever themes and trendy colors looked amazing in the photos, but they weren’t for me. I wanted something elegant and timeless, not whatever this year’s Pinterest trend was. And I recommend you consider the same. When you look back on your wedding photos in twenty years, will you think they are beautiful or will you be wondering why you chose that one day of your life to wear cowboy boots? 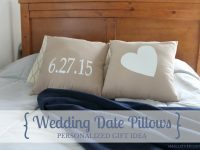 I give you permission to pin wedding ideas to your heart’s content, but make sure to stop yourself at some point. 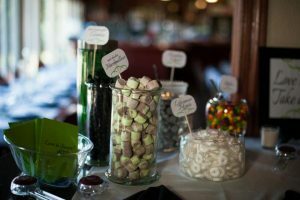 All of those ideas will easily confuse you, leaving you with a wedding theme that’s not cohesive because you patched together so many different ideas or a wedding theme that is totally out of character for you. 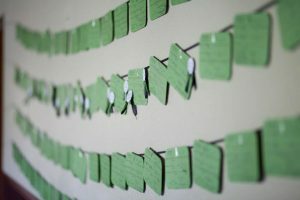 When I decided Pinterest was overwhelming me and confusing my vision for our wedding, I closed my laptop and pulled out a notebook. 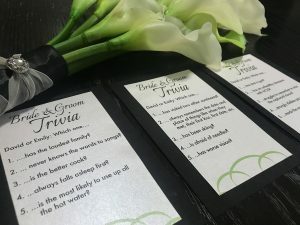 While Pinterest was a great search tool for inspiration and ideas, I first needed some idea of what our wedding style was. That would help me narrow my search and stay focused on finding ideas that I could logically incorporate into my day. Classy. Elegant. Black & White. Timeless. Ballroom. Formal but not stuffy. Fun celebration. Meaningful touches. Those were the words that described the wedding I pictured in my head. 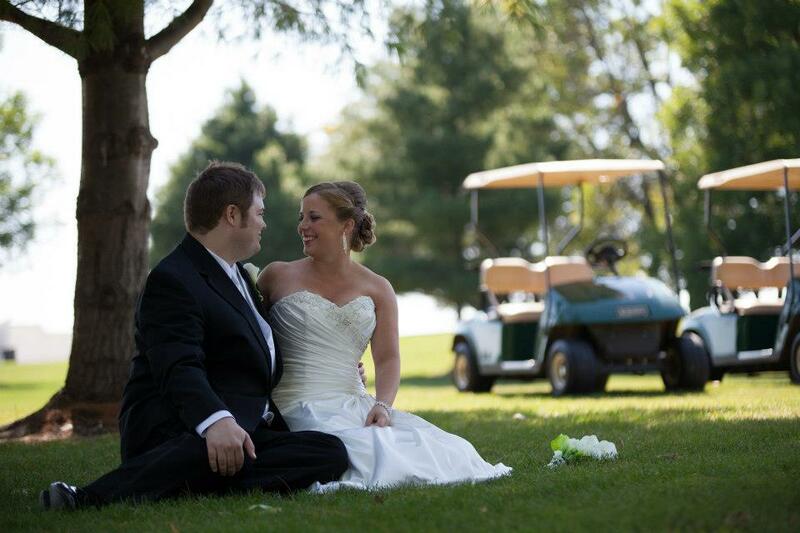 And they really helped me narrow my vision for our wedding style and helped me start making decisions. My advice to you is to close your computer screen and spend an afternoon or two jotting down descriptions about your wedding. 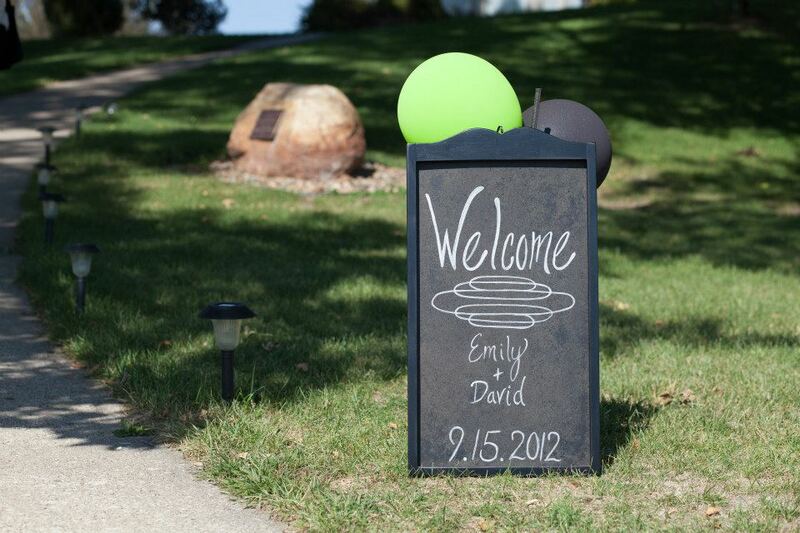 Think about the words you hope your guests use to describe the day. Do you want them to remember it as a classy, elegant affair? Or is a laid-back, country vibe more your style? Everyone’s answer will be different, so I cannot tell you what it should be. 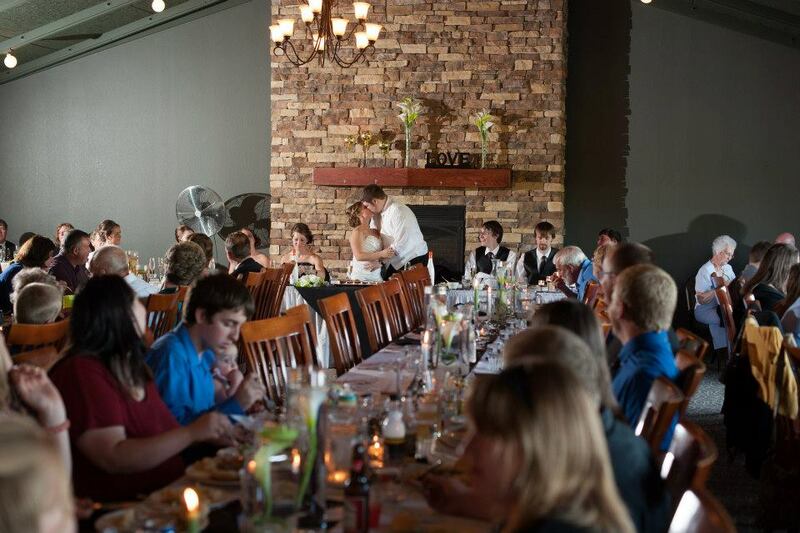 Picture your wedding day in your mind and write down what that looks like. These words will guide you as your begin to define a cohesive wedding style you’ll love for years to come. Choosing just a few colors for our wedding day was super tough for me. I love color, and the options are limitless. Since we hoped to create a style that was timeless and classy, we kept it simple. Black and white are always in style and they are very elegant in my mind, so those were our base colors. 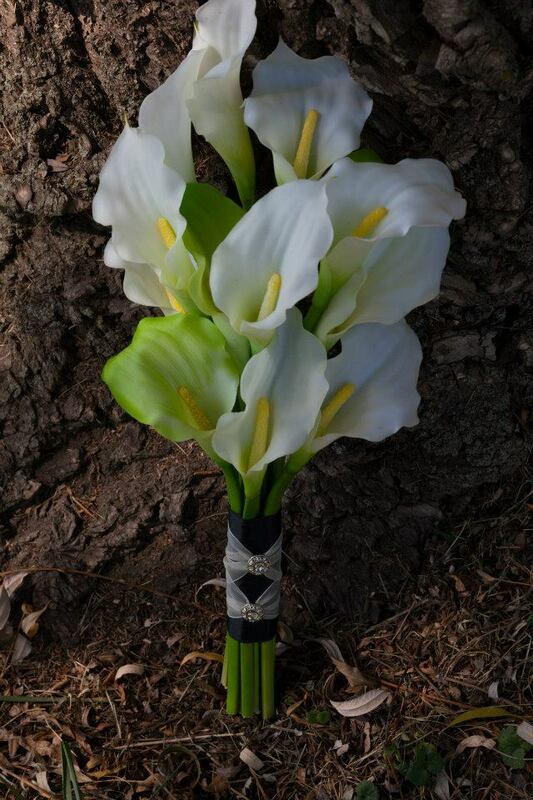 We chose green as our third color because it is a favorite color of both David and I, and it would complement the lush country club lawn and green trees in September. There is no hard and fast rule on the number of colors you should have in your color palette. It could be very simple like ours was, or it could be a slightly larger array of colors. 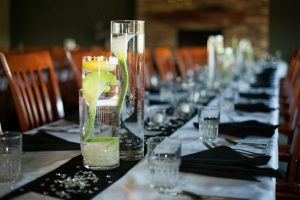 Think of colors that are cohesive with the descriptor words you jotted down, and also consider the venue you are using. You’re paying a lot of money to rent the place, so make sure your colors don’t clash with the existing decor. Also think about the season of year and what types of coloring will be outside, especially if you plan to take outdoor photos or have your ceremony outside. 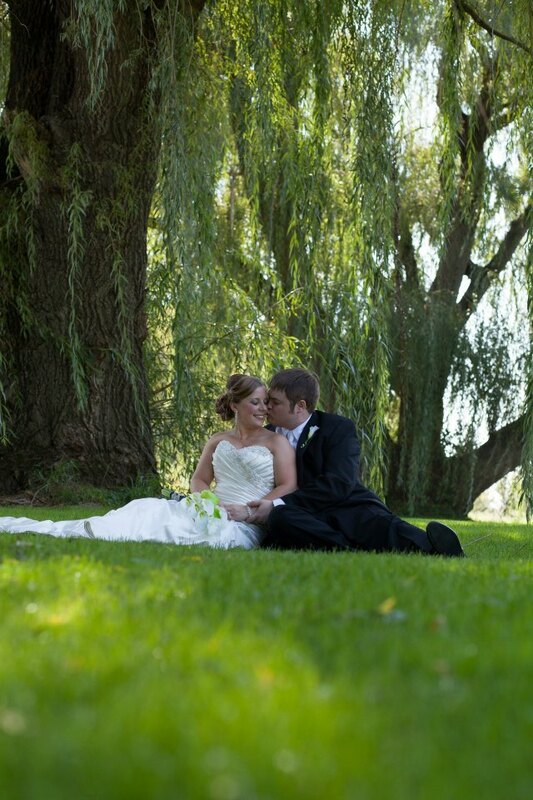 I knew there were gorgeous willow trees at the country club where our reception was going to be, so I considered what would look good next to the trees. If you’re having trouble, search Pinterest for photos of weddings with a similar style to your vision and analyze the colors they used. Once you have a few basic colors in mind, I recommend looking at the color palettes on design-seeds.com and finding one that you’re in love with. They have so many combinations to choose from! Save the palette to your phone and print a copy so you always have it handy. When I was out shopping for decor and supplies, I would often pull up the color palette on my phone to compare things to. 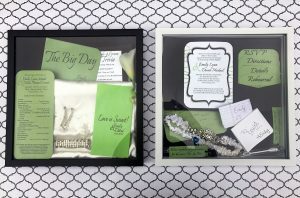 Now that you’ve chosen a basic mood for your wedding day and have finalized your color palette, you may want to create a mood board that illustrates the style and feel you are going for. A mood board includes your color palette along with some images that portray the style and mood you want to achieve. I found this tremendously helpful to have handy and referred to it often. It was especially helpful when choosing decorations, because I could hold everything up next to my mood board to see if it fit. There are so many pretty things out there that it’s easy to get overwhelmed and wind up purchasing decor that doesn’t mesh with your wedding style, so having a mood board handy is a great tool for checks and balances. I used Pinterest to start gathering images for my mood board. I already had a wedding board on Pinterest filled with hundreds of ideas that didn’t all match the style I was going for, so I started a brand new, secret board to collect images that better reflected our wedding style. Once I had an assortment of images saved, I used Photoshop to design a collage of some of my favorites. I also included our wedding colors in the collage, and this became my mood board and a guide for every decision moving forward. You can use editing tools like PicMonkey or Canva to create your mood board, or there are some free mood board websites you may want to look into. Deciding on a wedding style is no easy task. It is so easy to become overwhelmed with the possibilities, and distracted by the latest trends. But remember that it’s your day and it should reflect the personality of you as a couple. I’m so glad I can look back at our wedding photos three and a half years later and still be happy with the style of our wedding. 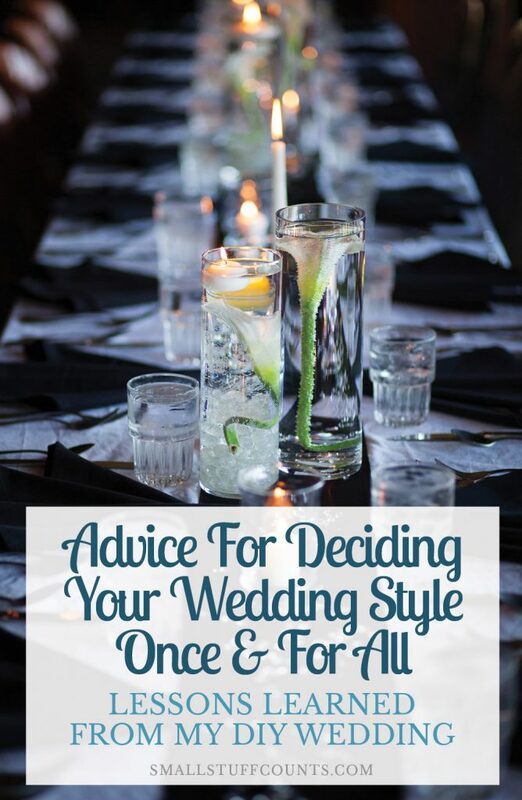 I hope my advice will help you decide on a cohesive style for the next wedding or big event you’re involved in, and I thank you for joining me on this walk down memory lane. Stay tuned for the next installment in the My DIY Wedding Series coming up soon, and enjoy your summer and wedding season. 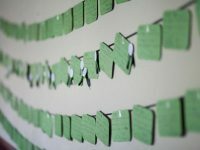 Here are the blog posts in this series thus far–I’ll keep updating this list as I write more! Thanks, Amanda! Candy bars are my favorite!